International artists tend to miss Singapore’s food and cleanliness when asked what they missed about Singapore. However, for Indonesia sweetheart – Raisa, what she truly missed is walking around in Singapore because she finds it difficult to walk around in Jakarta. 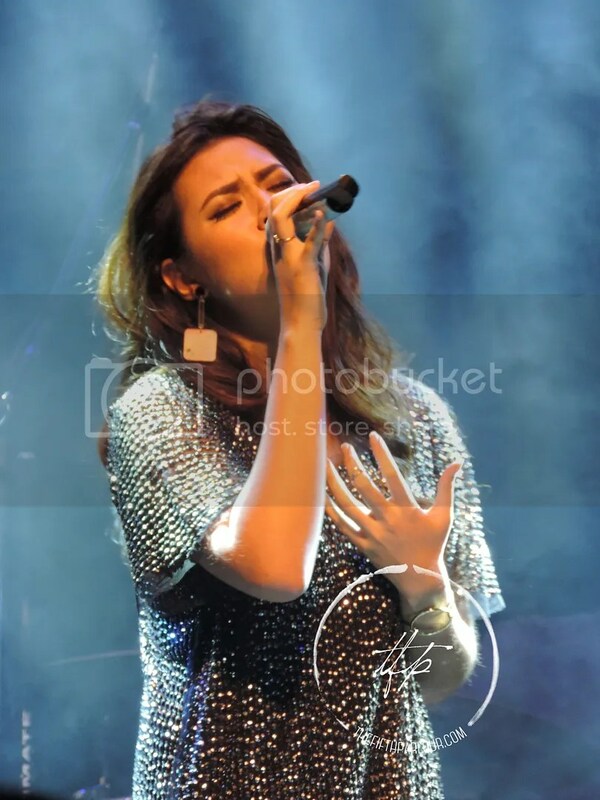 Raisa was recently in Singapore as part of the Music Matters week. The Fifth Parlour had the opportunity to have a quick chat with her backstage before her performance at Millian. Earlier this year, Raisa released a new album, Handmade, a compilation of English and Bahasa songs. Fluent in English, we were curious if she is planning to do an English album in the future. And we were glad that it is in her plans and she is working towards it. She is using Music Matters as a platform to connect and get to know more people to get this idea forward. Hence, she is aiming that her fourth album will be a full English album. Raisa is known for her emotional songs; love matters. Therefore, she is glad that for a change, her new single – Tentang Cinta is an upbeat number which promotes positivity. Describing the song as a morning song because of its happy vibe, Raisa shared that in this digital world where negativity is easily spread in social media, it is important to have positive songs to spread the love. As a celebrity and always in the public eyes, getting hate comments or negative reviews about her is not unusual. So, how does she deal with the negativity? “I tried to distance myself from people and negativity. I don’t Google myself thats for sure because that is the worst thing you can do,” explained Raisa. Raisa added that she just try to be happy for herself. She realised that she cannot make everyone happy and with that realisation, she feels it is easier to live. So what is next for Raisa? She will going to the first seven cities in Java Island for her Handmade tour and will move on to another island. She revealed that it is by far one of her biggest project. She added that she might also start on her international album. We are looking forward to her full length album. Singapore fans, if you did not manage to see Raisa this time round, she will be back for Anugerah Planet Muzik which will be happening on Friday! The Fifth Parlour would like to thank Raisa for the interview and Adrian for coordinating the interview!